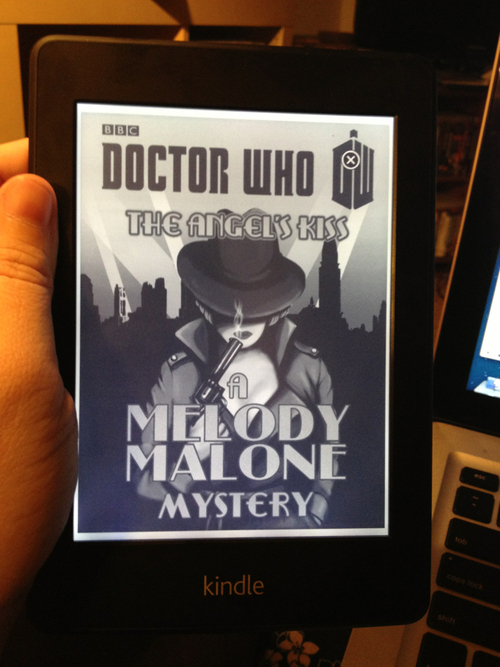 Melody Malone: The Angelâ€™s Kiss tie-in novelette now available! Well, do you remember the book the Doctor were reading loud for Amy and Rory in Central Park, New York City? If you’ve watched the last week episode from Doctor Who, The Angels take Manhattan, you just can’t miss it. Well, Â I found out that the book is available to buy online onÂ AmazonÂ (US),Â AmazonÂ (UK),Â eBooks.com,Â iBooksÂ (Apple). If you are interest just go for it. Buy the book.